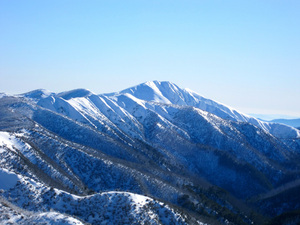 This year's Bogong High Plains Winter Trip will run from the 5th to 9th of August. Heading out across the snowy wilderness, a team of amateurs and friends will ski through some of Australia's most stunning alpine landscapes. The group will be led by VK3GT, VK3FMAW and VK3SN up onto mountain plateaus which sit well over 1800m ASL. Using ultralight solar powered gear, these back country skiers will be active on 40m each afternoon and 80m every evening. Other HF bands will be activated according to conditions and north-eastern Victorian 2m & 70cm repeaters will also be worked during each day. Share in the adventure by listening out for the group as they operate QRP from huts, tents and igloos on the roof of Victoria.